When you join Friends of the Plano Public Library, you are supporting a valuable resource open to all in our community. Last year the five Plano libraries checked out over 4.7 million items, had in excess of 1.5 million visits, and welcomed more than 140,000 people to free programs! 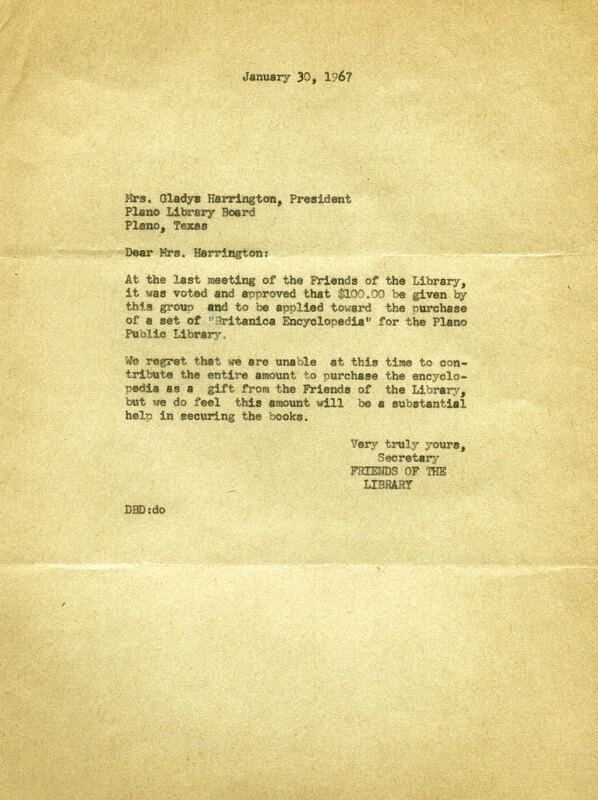 Established in 1965 to support the library, Friends' first donation of $100 contributed to the purchase of a set of Encyclopedia Britannica. In the last decade Friends have gifted almost $1 million to enhance the libraries with special programs and educational entertainment, eBooks and eMagazines, science kits, ESL and world language materials, thousands of books, and much, much more - see the 2001-2017 donations list. You can help - speak up for the library! Call or send an email to your local elected officials in Plano to let them know that you value the library. Call or send an email to your state elected officials to let them know that you value the library. Attend a Plano City Council meeting and take the opportunity to publicly thank the council members for supporting the library. The Plano City Council normally meets the second and fourth Mondays of each month with Executive Session beginning at 5 p.m., immediately followed by Preliminary Open Meeting, and the Regular Meeting at 7 p.m. in the Plano Municipal Center, Council Chamber, 1520 K Ave. During the month of July, Council meeting dates are revised. Share the library story at community groups that you belong to, such as the PTA, Rotary, Chamber of Commerce, etc. Read more about library advocacy from the American Library Association.